As you know, we had already been having AT&T tower problems for the last few months. The entire tower crashed, however, exactly two weeks before Christmas. I had several Christmas blogs in mind that will have to wait for next year, such as how to make Christmas Stollen, a German holiday bread studded with candied fruits and filled with almond paste. 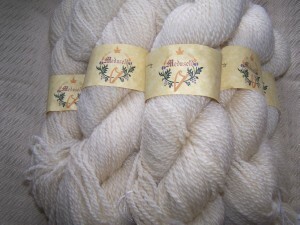 Meduseld is thrilled to be an advertiser inWild Fibers Magazine’s Tenth Anniversary Issue. I have been reading this magazine since before we even started up making yarn, and it is like traveling overseas without leaving the comfort of your living room. It covers diverse natural fibers all over the globe. My only complaint is that they don’t cover the wonderful domestic farms very often, but hopefully there will be more attention given to our own country’s fantastic (albeit struggling) fiber industry in the future. Look for our ad in this issue, which contains a link to our free Icicle Shawl Pattern. We were not idle while the net was down. I started some seed trays for a friend who is firing up her own “high tunnel” or hoop house. While most of the seedlings are coming up fine, I have had the most frustrating time keeping a mouse out of the cucumber and squash trays, having to replant each time some four legged creature makes a feast of my seeds. I even put the four legs of the table in buckets of water and the little varmint still gets to them. BTW, sprinkling hot red pepper over the dirt doesn’t stop the mice either. I have now planted those trays for the fourth time. Please keep your fingers crossed for me! Meduseld was included on Emily Estrada’s latest Fibretown Podcast! If you are not watching her podcast yet, I urge you to watch an episode. One episode and you’ll be hooked! Emily is engaging and skilled, and it is always inspirational to see her latest projects. 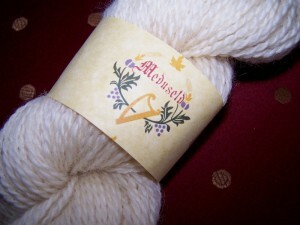 In this episode “Gifted,” Emily shows some of Meduseld’s products including maple syrup, a beeswax candle, and a custom skein of Romney in a colorway made with Emily in mind, but that happens to also match the Meduseld logo. It is in rich gold, deep royal purple with splashes of burgandy, and Bavarian Forest green. 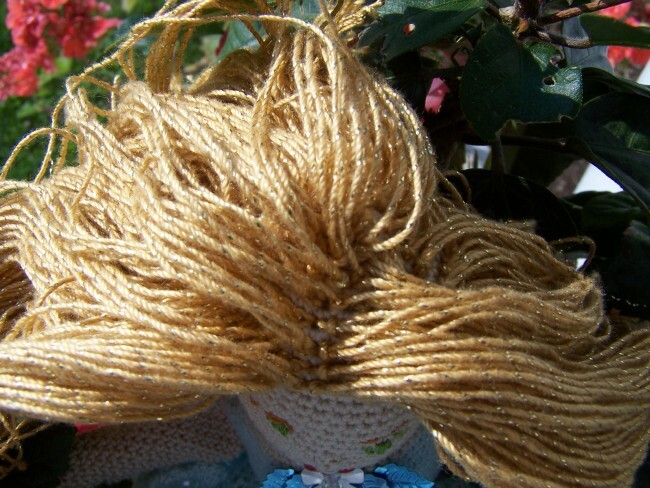 The Romney yarn is a fun, highly dyeable yarn. 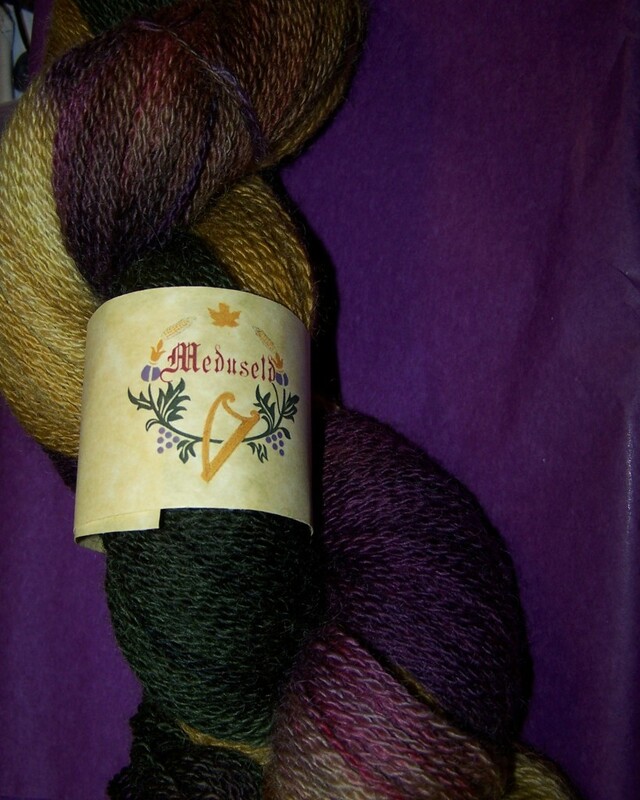 If you would like your own custom skein please email me at meduseld@live.com. 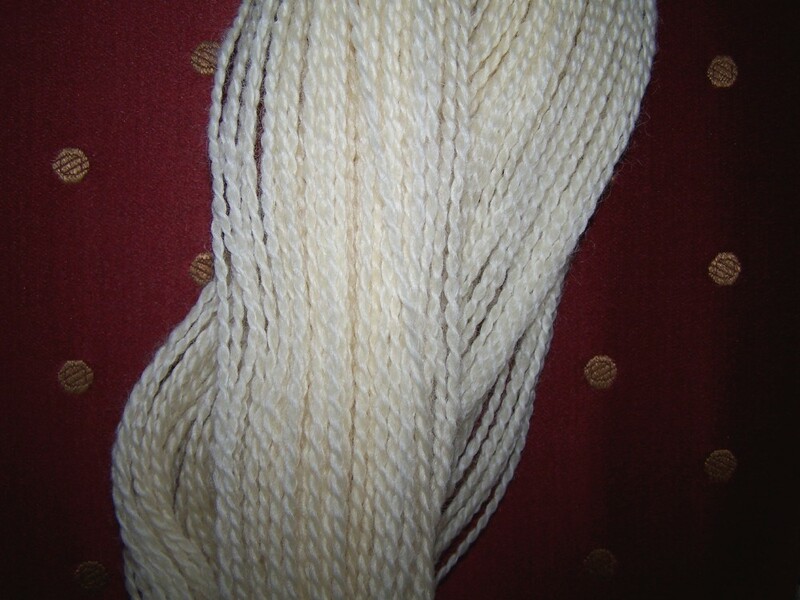 Not only can I make custom lengths so your projects will have no knots, but I can dye it in custom shades. As you know, I am inspired by Emily Estrada’s podcast FibreTown. 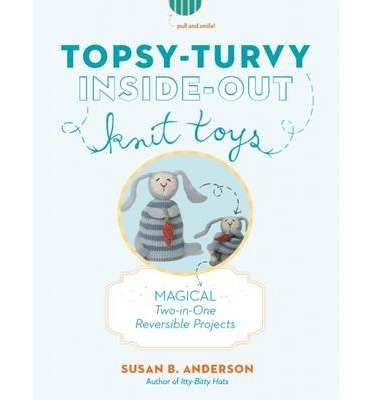 In a recent podcast, she showed an adorable knit tulip fairyshe made based on a whimsical and imaginative book by Susan B. Anderson, called Topsy Turvy Inside-Out Toys. Emily’s work was adorable and I decided instantly to make one as a birthday present for our little Sprite. 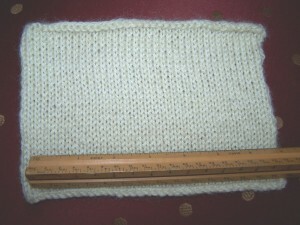 Trouble is, I can’t knit like that, at least not in 3-D shapes. 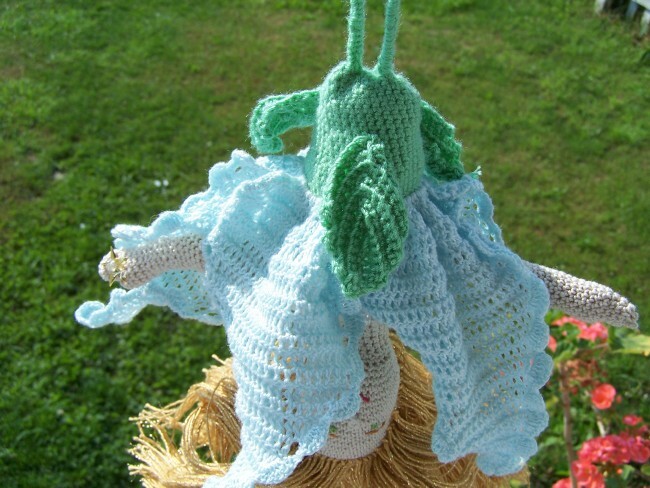 Rectangles and triangles are about my skill level in knitting, so I decided to see if I could crochet one of these little fairies. 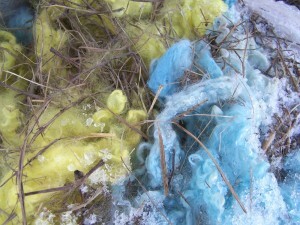 I started foraging for yarn ends to use and found that I did not have the colors that were in my imagination. I also wanted to make her with some sparkle and definition. I settled on crochet lace thread and sequins. Here she is, finished just in time for our own little fairy’s birthday. 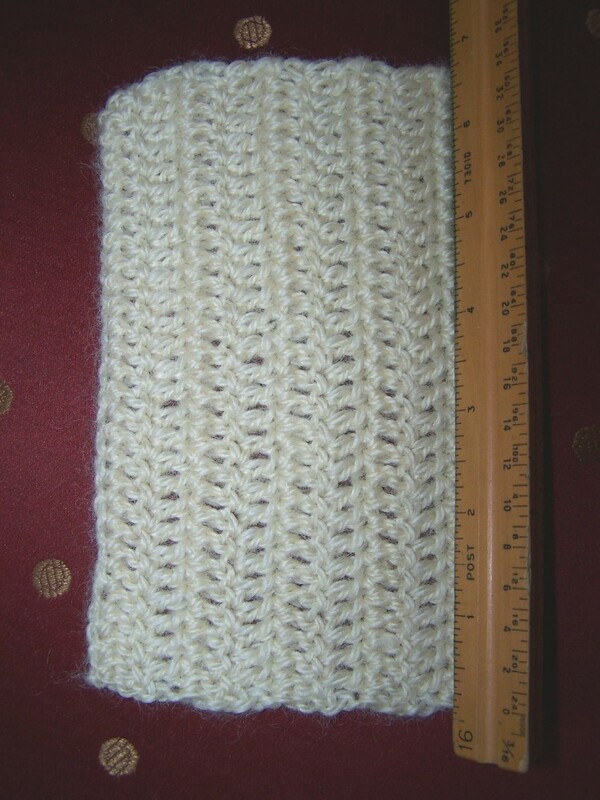 I started at the crown of her head and worked single crochets down with gradual increases. 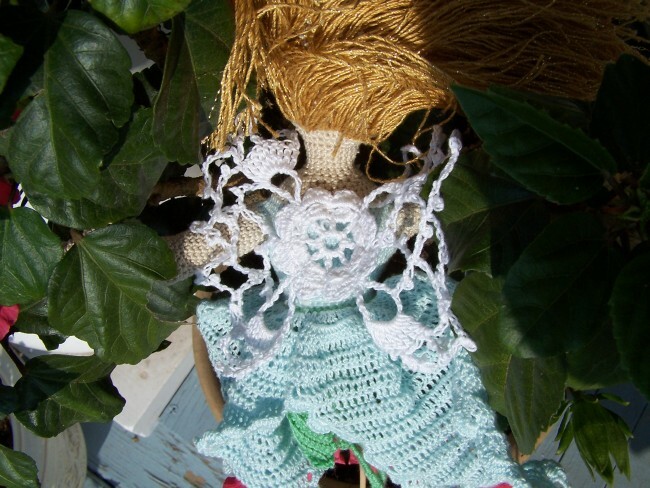 Her “nose” is two double crochets joined liked a popcorn stitch. I liked Emily’s idea of adding wings. I made these by modifying an Irish crochet lace pattern. 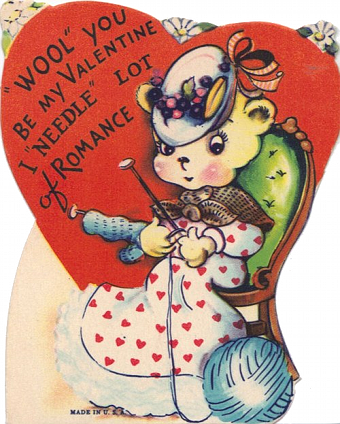 They have the Irish rose in the middle, and arches and picots that are so abundant in Irish lace. I attached over 300 pieces of “hair” hooking them like a rug through her crocheted “scalp.” This will hold them tightly for a child’s use. 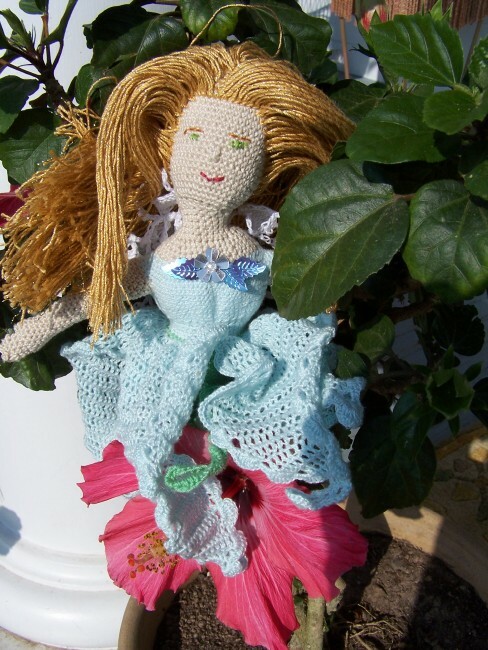 Since the theme of the book is Topsy Turvy, I also made this fairy to be flipped over, her dress becoming the petals of a flower. I made the stem into a loop so that the fairy can be carried over a wrist. I recommend this book even if you crochet. It is filled with creative ideas that can be converted from knitting to crochet. 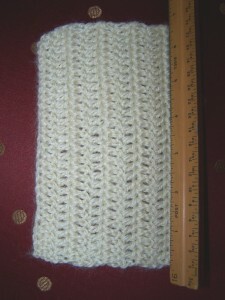 And, these are excellent gifts and provide a terrific way to use up ends of yarn from other projects. I am placing the book in Meduseld’s Amazon Store.